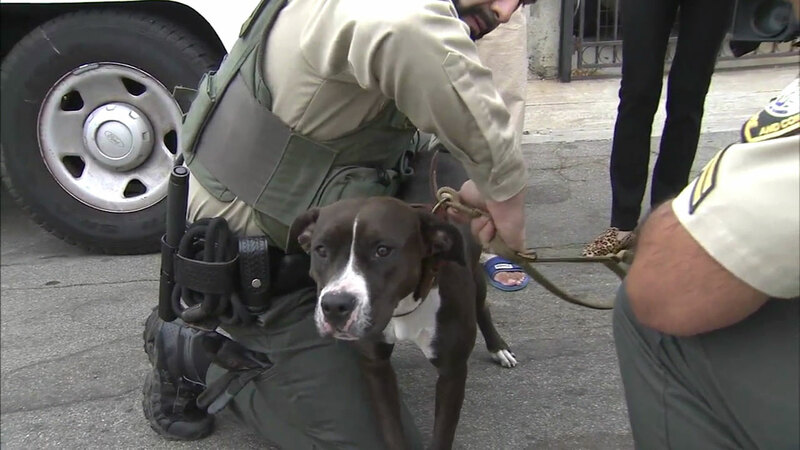 LOS ANGELES -- A 21-year-old man who pleaded no contest to throwing his pit bull mix over a Los Angeles cliff and into a ravine below was sentenced to two years in prison Wednesday. Andres Spancky Raya made his plea on Aug. 9 to one felony count of animal cruelty. Raya is said to have thrown his dog, named Mary Jane, from a cliff in the 1300 block of Luella Drive into a ravine 145 feet below. Authorities said he threw the dog over the cliff twice last year - on Sept. 26 and Sept. 28. Both incidents were caught on video by a neighbor, who reported the abuse and helped rescue the dog. Raya will also serve a five-year prison sentence concurrently with his two-year sentence for an unrelated first-degree residential burglary charge.